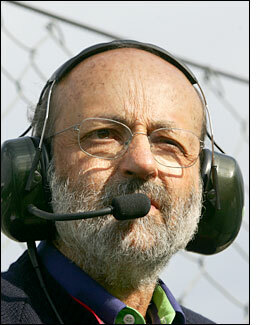 We’ll provide an opportunity for others to state their views in due course (that’s how the internet works – stage by stage), but this is what Henri Pescarolo has to say today, October 23, with regard to the 2007 ACO regulations, as regards equivalency between petrol and diesel-powered prototypes. The bulk of this page comprises Henri Pescarolo’s open letter on the subject, but we’ve followed up with some additional comments, gathered from him on the telephone today. Because this translation may not be an absolutely correct one – some phrases make it very difficult to infer the exact meaning, while others demand that a certain English phrase is used – this Open Letter should not be copied and pasted all over the internet: we at dsc can accept responsibility for what appears here, but would ask that it isn’t placed elsewhere. At the time of the 24 Hours of Le Mans 2006, the competitors using petrol-powered engines had had all the time to note that the equivalences defined by the ACO’s regulations were not correct. The press had been making the same ‘noises’ and the public had also understood it. However, some thought that it was completely normal that the Audi Diesel is on average 3 to 4 seconds faster on a complete circuit than the best of the cars propelled by a gasoline engine. For them, this difference was due only to the colossal difference in budget between one and the other. Many simulations have been carried out, by various engineering and design departments, and all arrived at the same conclusion: that the Diesel engine was heavily favoured. To have a full understanding, and wanting to be careful, the ACO equipped all of the 24 Hour cars with of a system of data acquisition recording all the parameters on a lap of the circuit. These measurements were partly published at the end of the race. Of most significance is the first sector, in particular past the Tribunes, because if the Audi is 0,544 seconds faster on the whole of the sector, on the 398 meters of pure acceleration (past the pits), it takes it 0,1395 second less to pass from 130 to 250 Km/h than the best gasoline-powered car. Compared to the 9 600 meters of acceleration in a straight line that the (whole) circuit comprises, that would make 3,36 seconds in total, on one lap. That is rather close to reality. A theoretical calculation makes it possible to evaluate that with identical tires, this variation in acceleration is generated by a difference in power of about 57 bhp. There too one is close to the announced figures. Let us look at the second sector - Les Hunaudières – where the Audi is 1,19 seconds faster. As the top speeds are (almost) identical, 325 against 326 Km/h, it must be that there is a difference in acceleration in a straight line until the maximum speed is reached. The two chicanes are taken at appreciably at the same speed. The third sector, with the Audi 1,34 seconds faster, confirms the two preceding analyses, but in the Porsche turns, it is more the torque than the power which brings an advantage. On the other hand the difference between the best lap in the race of Audi and the best gasoline car is completely significant: 4,4 seconds (3' 31' ' 211 against 3' 35' ' 656) is enormous, and remember that we are only at the beginning of the development of the diesel engines! A finer study of partial times makes it possible to note than the advantage in the corners, about 1,5 seconds, is not negligible, but is not independent of the power available. Indeed for a higher power, with an identical top speed, means aerodynamic choice is available, to enable the best handling. However, you do not have to be a ‘university technician’ to prove that in an application of the power to weight ratio, a Diesel car developing 700 CV was going to accelerate much more quickly, with identical weight, than a car gasoline having only 640 CV! The official statement published on last 13 July by the ACO was however clear: "Only an advantage related to the performance of the engine can lead us to take measures in order to reduce the performance". Having seen the preceding figures, which highlight clearly this advantage of the Diesel power, one could thus expect, and promises had been made in this direction, that new equivalences were to be applied for 2007. 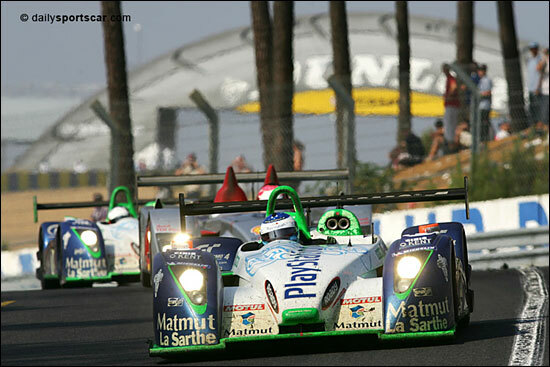 Don Panoz showed the way in the American Le Mans Series. By withdrawing 65 kg from the weight of the gasoline-powered cars, it found a real equality between the various competitors. The last races of the season were enthralling, and finally if Audi continued to win, which appears normal, it is while fighting until the end with equal weapons, and that is completely new. The recent publication of the 24 Hours regulations for 2007 clearly shows that the ACO chose to preserve a substantial advantage for the diesel engines. 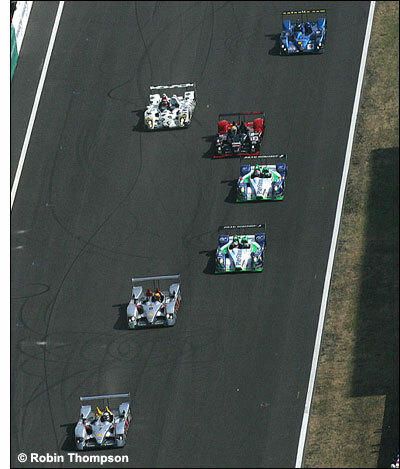 However only the two manufacturers present in LMP1 can have it. Is this chance? If this is not the case, it is serious. Because that means that the ACO wishes that nobody can come to disturb the play of the two large manufacturers. If they’re assisting an eighth consecutive victory of the VAG Group at the next the 24 Hours of Le Mans without there being a real opposition, the ACO will have to account for the return of the public and the media next June. There is however a glimmer of hope, a small concession was made: the capacity of the diesel tanks was reduced by 9 liters so that all the cars stop at the same time to refuel. This represents 0,7 seconds per lap over the 24 hours, which is far from being sufficient. But it is perhaps the sign which some are realizing, within the ACO, which has a first duty, besides innovating in the technical field, to institute a perfect equity and to harmonize the powers between the various allowed power sources - diesel, gasoline or hybrid, whatever is used. And then, as stipulated in its official statement in July 2006: "all the other elements of the car being built with the same schedule of conditions, it thus rests with the manufacturers to build the best car". While waiting, with respect to the lovers of the 24 Hours of Le Mans, and with again, I hope, the support of the public, Pescarolo Sport will take up this new challenge nevertheless. More justified than ever, the local Sarthe stable will enter two new cars, with new aerodynamics, firmly persuaded that even in the universe of the sport, sometimes morals can triumph. In conversation with Henri Pescarolo today, he made it clear that “I wanted to explain the position using the official figures relating to what actually happened during the race. “The problem for the small teams and engine manufacturers is that they were not invited to express their views to the ACO. The small teams are afraid of losing their entries. So do you think you can persuade the ACO to change its regulations for next year, Henri? “No, not for next year. They have decided to have the smaller fuel tank (for the diesels) next year, but maybe for 2008 it could be more. As above, we’ll be presenting more sides to this story in due course. Henri Pescarolo is to be admired for stating his views so openly.